Your teeth play an important part in your life. After all, without them, you couldn’t speak or eat. This is why it is absolutely crucial that any traumatic teeth injuries be treated as soon as possible. Typically the result of playing sports or an accident, Dr. Adam Harkrider has seen a variety of injuries. These include chipped teeth, cracked teeth, missing teeth, and loose or dislodged teeth. In his years of practice, Dr. Harkrider has seen the importance of early intervention. A chipped or fractured tooth is something that should not be ignored. In fact, if you feel you have chipped or fractured a tooth we recommend you give our Boerne, Texas office a call. More often than not you’ll need to have the crown filled or replaced with an artificial crown. 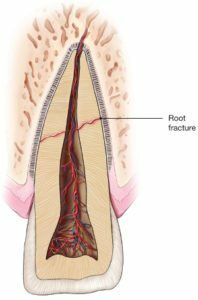 If the injury is significant enough, you may require further endodontic treatment like a root canal. These are performed to eliminate pain and infection and rescue your tooth from further loss or injury. 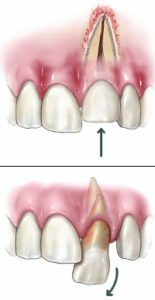 Often, when a tooth is injured, it will be pushed in a direction other than what is normal for it. When a tooth becomes dislodged a root canal is typically needed to save the tooth from dying. This procedure should be performed as soon as possible and no more than a few days after the injury. If your tooth is dislodged call our team at Harkrider Endodontics as soon as possible. We’ll fit you in so that we can get you treated and eliminate the probability of additional injury or infection. A knocked out tooth is one of the most common injuries we see at our office. Most often it occurs in children and young adults who have been playing sports or taking a fall. Whether an adult or child is affected, we recommend coming into the office within 30 minutes of the injury occurring. In children who have not developed their adult teeth, we do our best to save the baby tooth. Baby teeth play an important role in helping your mouth’s shape develop correctly. 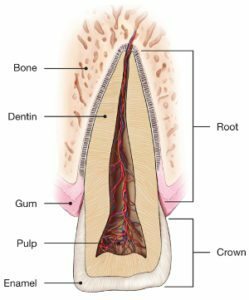 In adult teeth, we work to place the tooth back in the socket and evaluate for further damage. If you find yourself in this situation, we recommend you place the tooth in a glass of cold milk or water, ice your face, and get to the office as quickly as possible.